“How do they [Saudi Arabia] know what his [Khashoggi’s] plans were and that they needed to act against him? That knowledge came from the technology developed by NSO,” Israeli business daily Globes reported. Snowden accused NSO of “selling a digital burglary tool,” adding it “is not just being used for catching criminals and stopping terrorist attacks, not just for saving lives, but for making money […] such a level of recklessness […] actually starts costing lives,” according to the Jerusalem Post. Snowden – made famous in 2013 for leaking classified National Security Agency (NSA) files and exposing the extent of US surveillance – added that “Israel is routinely at the top of the US’ classified threat list of hackers along with Russia and China […] even though it is an ally”. 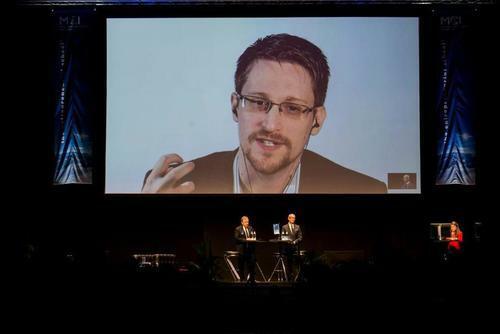 Snowden is wanted in the US for espionage, so could not travel to Tel Aviv to address the conference in person for fear of being handed over to the authorities. In October it was revealed that Saudi Arabia used Pegasus software to eavesdrop on 27-year-old Saudi dissident Omar Abdulaziz, a prominent critic of the Saudi government on social media. The revelation was made by Canadian research group Citizen Lab, which found that the software had been used to hack Abdulaziz’ iPhone between June and August of this year. Citizen Lab’s Director Ron Deibert explained that such actions by Saudi Arabia “would constitute illegal wiretapping”. A separate report by Citizen Lab in September found a “significant expansion of Pegasus usage in the Gulf Cooperation Council (GCC) countries in the Middle East,” in particular the United Arab Emirates (UAE), Bahrain and Saudi Arabia. Citizen Lab added that in August 2016, Emirati human rights activist Ahmed Mansoor was targeted with the Pegasus spyware. In recent days, Egyptian President Abdel Fatah Al-Sisi and Israeli Prime Minister Benjamin Netanyahu have reached out to the Trump administration to express support for the crown prince, arguing that he is an important strategic partner in the region, said people familiar with the calls. Bin Salman has come under intense scrutiny in the month since Khashoggi first disappeared, with many suspecting his involvement in ordering the brutal murder. Yet while several world leaders have shunned the crown prince, it is thought that Israel would suffer from any decline in Saudi influence in the region in light of its purportedly central role in the upcoming “Deal of the Century”.